Sometimes you just need a quick project that you can mindlessly work on while watching TV or listening to good music. This is one of those—super easy. 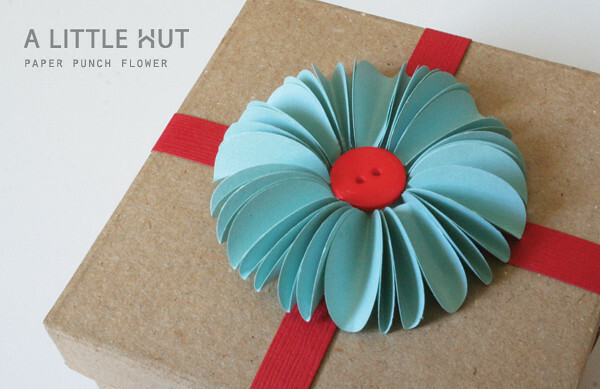 - Punch out one 1.75" circle to use as a base and 30 1" circles for the petals. - Attach the button with foam dots to the center of the large circle. - Fold all the small circles in half. Glue them around the button (with the edge of each circle tucked under the button). I creased some all the way and some only slightly which make the latter petals appear more open—giving the flower an uneven look/texture. This flower is similar to the one in a previous tutorial but the difference is that these petals are standing upright and not on their side. 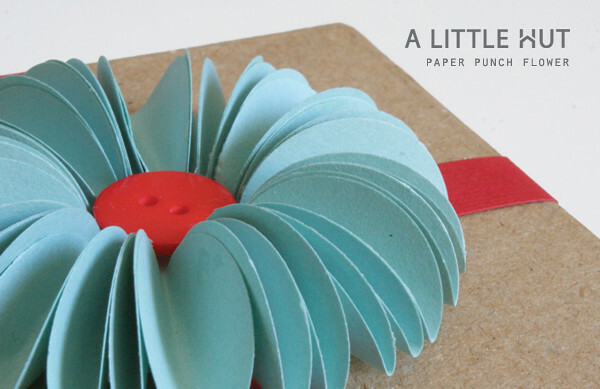 - Leave the center empty (no button) and use green paper to use it as a wreath gift topper! 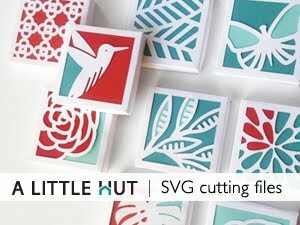 - This is a perfect project to use up scraps—make it multicolored! - It can also be a recycling project by using magazine pages.